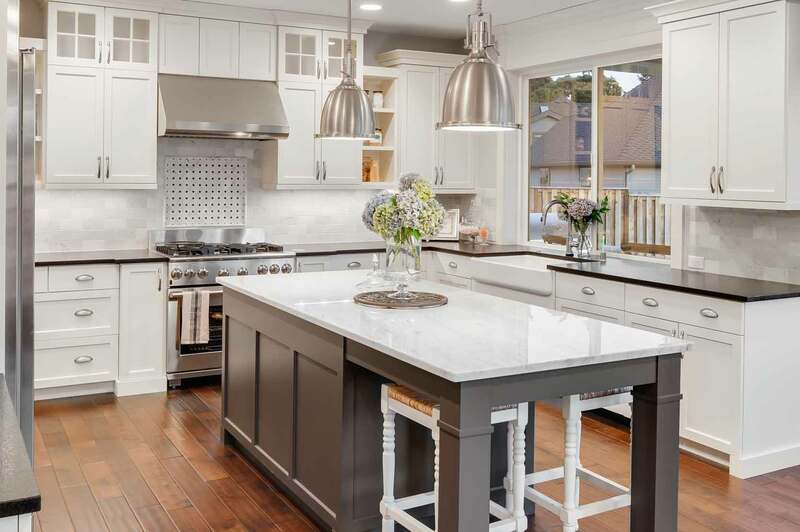 Today’s contemporary kitchen styles are clean, simple and chic. They’re designed with an emphasis on high efficiency and functionality. Streamlined and sleek, this is a perfect style option for modern open-plan living spaces in a typical Melbourne home or apartment. A contemporary kitchen takes advantage of every new development, product and appliance on the market. Think hi-tech induction cooktops, soft-close drawers and cupboards, fully integrated cutting-edge appliances and innovative storage solutions. You might find lightweight, polished concrete surfaces or other new fabrications that offer greater durability, ease of cleaning and affordability. Recycled, upcycled and repurposed materials are also popular in this style of kitchen. The colour palate is about contrast and the interplay between light and dark tones. White is often dominant with black or other bold colours added to create drama and flair. You can also add coordinated pops of colour are also seen in everything from lighting to appliances. Splashbacks – like the one above – are a great way to add a prominent focal point to your kitchen. 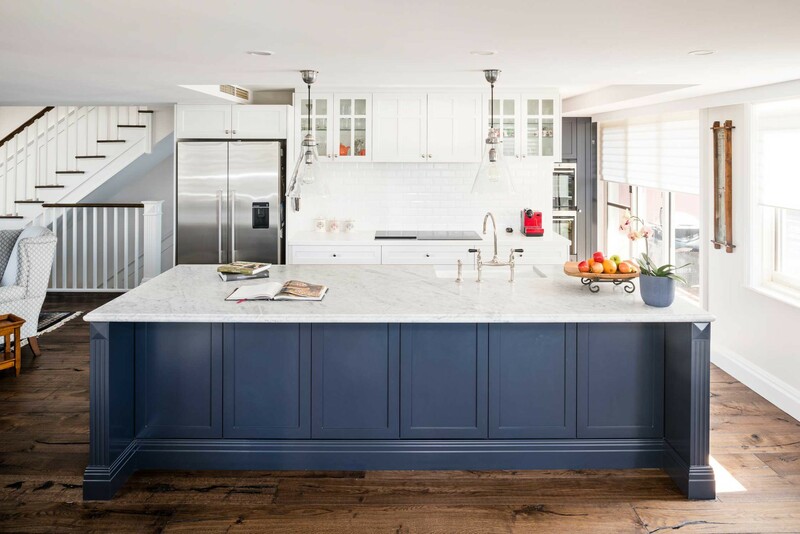 You might opt for a coloured glass splashback, mosaic-like ceramic tiles or oversized panels of stone. This style of kitchen makes great use of symmetry, clean lines, integrated appliances and cleverly hidden storage. To push the minimal, uncluttered aesthetic to the limit, you could include a butler’s pantry. The only real limit in what you can achieve in a contemporary kitchen is your imagination. 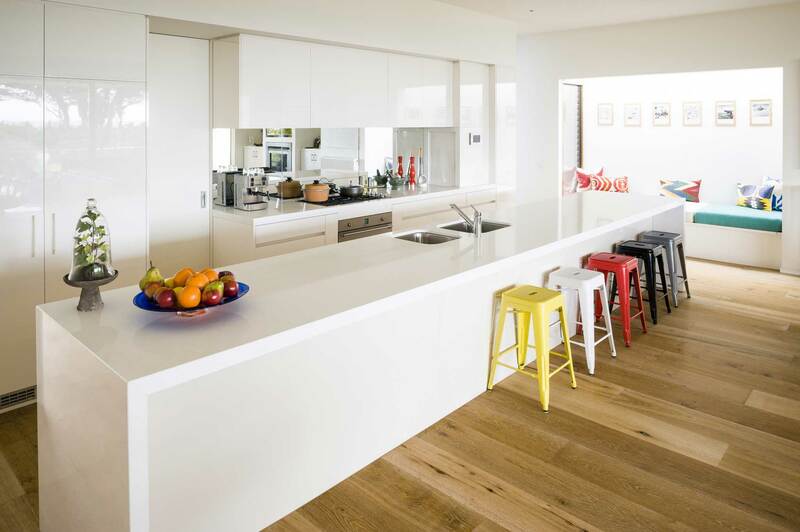 Check out the displays at our kitchen showrooms in Melbourne and talk to one of our kitchen designers. They’ll help to take your vision to the next level – and turn it into reality.